Time for an update from France where the Caen Indoor contest took place last weekend. Matthias won followed by Alex and Lee. Congratulations! We haven't seen footage yet except for Lee's insane final combo. 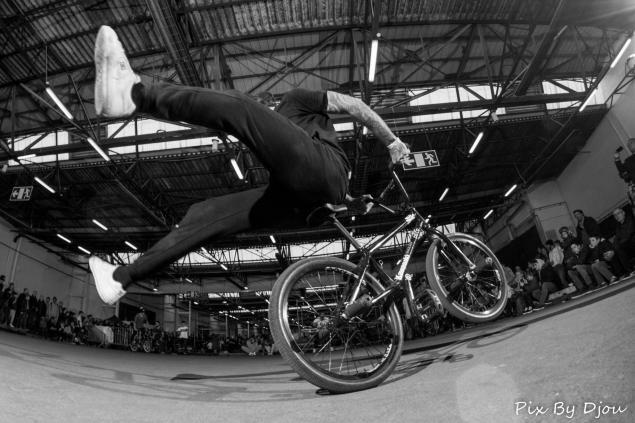 The contest was also the first round of the new French flatland circuit (Coupe de France BMX Flat) which makes Matthias the leader of the pro ranking. The next round is going to be the ABC of Flatland contest next weekend.